For more than 20-years, Richard Zokol was a staple on the PGA Tour. Throughout his career he amassed more than $2-million in combined earnings and played in 412 PGA Tour and 53 WEB.COM events. His lone PGA Tour win came at the Greater Milwaukee Open in 1992, while in 2001 he captured the PGA Championship of Canada (a WEB.COM event). 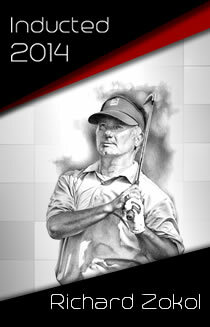 Zokol competed in 26 Canadian Opens and was inducted into the Canadian Golf Hall of Fame in 2011.